Load Rite roller trailers feature a heavy-duty galvanized steel frame built to deliver years of reliable performance in salt, mud and fresh water while remaining free of corrosion. Patented tubular construction provides exceptional strength and shrouds wiring and brake lines from damage during use. With a wealth of standard features including torsion axles, disc brakes (where brakes are indicated), LED lights, and a long list of available options, your Load Rite will deliver exceptional durability and performance, season after season. All of these features are backed by the industry leading Load Rite 2 + 3 Warranty. Tubular structural steel, fully hot dip galvanized, provides the ultimate finish for any boat trailer. Tubular design shrouds wiring and brake lines from damage. All machining and welding is performed before galvanizing, so there are no surfaces left unprotected from a boat trailer’s ultimate enemy: corrosion. Torsion axles provide independent suspension, exceptional rigidity, corrosion resistance, and a far superior ride to any leaf spring suspension. Available on most models. Trailer with peace of mind knowing that you’ve inspected the condition and topped off the lubricant level in each hub of your trailer. This trailer is equipped with disc brakes (where installed). Load Rite recommends disc brakes on all wheels where available. 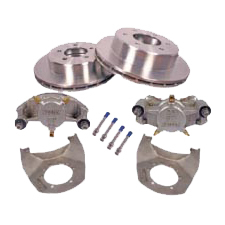 Disc brakes are self-adjusting and self-cleaning and require minimal maintenance in order to continue to deliver top performance. Follow maintenance tips in your Owners Manual for more detailed instructions. High quality USDOT-rated tires. Standard on all 5 STARR, pontoon, skiff and jon models, and models 90″ wide and narrower. Easily upgraded to radial tires at time of order. Tow smoother, quieter, and farther with radial tires installed on your trailer. Original equipment on most Load Rite Elite models. Optional on all pontoon and skiff / jon models, trailers 90″ wide and narrower, and all 5 STARR models. All Load Rite original equipment tires and lighting components are fully DOT approved. CounterAct Wheel Bead Balancing is now included on all 13″ and larger wheel assemblies as a standard feature. The wheels dynamically balance during each use. Visit counteractbalancing.com for more information. A stylish design combined with extreme durability. LED lights offer far greater reliability than incandescent fixtures. Long-lasting and waterproof design make these lights ideal for any trailer application. Standard equipment on all trailers 17′ and longer except welded frame models. TPR (Thermal Plasticized Rubber) rollers are smooth-rolling, non-marking and wear like polyurethane. Yellow rollers are standard on Load Rite Elite models while 5 STARR models feature the same material colored gray. These highly adjustable roller sets feature a smooth rolling core and a soft and supple TPR (Thermo Plasticized Rubber) outer layer that combine to baby a boat’s hull. The rugged extruded aluminum frame allow the assembly to pivot side to side as well as fore and aft. The individual roller sets can be adjusted laterally along the main I-beam to custom fit roller position for each hull. 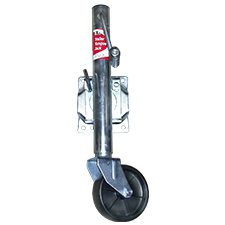 Tongue jacks are standard equipment on all Load Rite Elite models 90″ wide and wider, all 5 STARR models, and all UT, EQ, and CH models. Appearance and specifications vary by application. Tongue jacks are optional on all other models. A winch is standard equipment on all boat and PWC models. Capacity and features vary by application. Standard equipment on all boat and PWC models. Specifications vary by applicaton. Each year Load Rite trailers undergo a detailed inspection process in order to earn the right to proudly display this certification on products we manufacture. Load Rite’s premiere warranty exclusive to our Elite line of trailers. 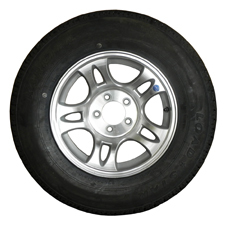 The most important option to consider, every trailer should have a spare tire readily available. Consult dealer for recommended bracket for individual application. Smoother riding and longer wear life than many bias-ply tires. A highly recommended upgrade. A stylish option available with bias-ply or radial tires for most models in 12″, 13″, 14″, 15″ and 16″ sizes. Not available in combination with Vault® hubs or Dexter axles.. Check with your local dealer before ordering. A valuable upgrade to any trailer, but especially those to see service in coastal regions with salt water exposure. EOH brakes offer electric in-cab control of standard hydraulic disc brakes. Requires in-cab controller and 7-pin round electrical connection to the tow vehicle. Vault® – The VAULT® “Hybrid Lubrication System” uses a semi-fluid oil in a pressurized chamber to give you the ultimate in wheel bearing lubrication and protection. At ambient temperatures the oil is thick with a viscosity approaching grease. As the bearing temperature rises during towing, the VAULT’s Hybrid Oil thins out replenishing the bearings with lubricant and dissipating heat. No inspection, no maintenance and no service required. *Vault® hubs require Dexter axle. Vault® and Kodiak® stainless disc brakes cannot be combined. Consult a dealer to confirm application. Tongue jacks are recommended on all trailers. Appearance and specifications vary by application. Tongue jacks are optional on all models where not original equipment. An upgraded jack that provides greater capacities and fast setup with no need to swivel. Applications are limited by trailer capacity and tongue length. Not available on models exceeding 6,000 lbs. capacity. Consult with a dealer. Add extra width to standard 96″ wide trailers. Rollers offset on bracket to avoid trim tab.